Earlier this week, many of the industry’s leaders gathered at the beautiful Whitespace HQ in Edinburgh to discuss how advertising can play an important role in growing the Scottish economy. Beneath the towering Edinburgh Castle, Brian Coane, Front Foot Scotland’s chair, opened by sharing the results of the inaugural Advertising Pays Scotland campaign from May this year. The report highlighted how the industry’s £1.7bn spend results in £8.8bn contribution to GVA and supports 42,000 jobs nationwide. 46% of MSPs recalled the ‘Nae Bad from an Ad’ campaign. This was followed by Advertising Association chief executive, Stephen Woodford, presenting the results of the new Advertising Pays 6 report, World Class Advertising, World Class Talent. The analysis, in partnership with LinkedIn, showed the importance of Creative Clusters and the need for continual free movement of labour. 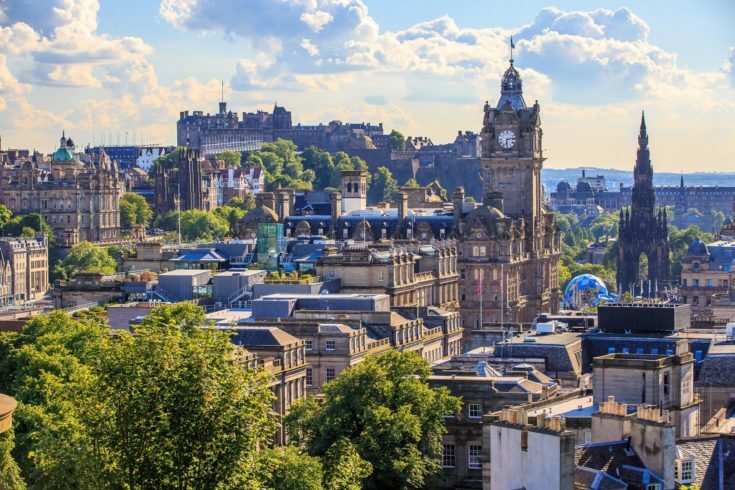 4% of the UK’s advertising and marketing workforce work in Scotland and Edinburgh and Glasgow are the 8th and 9th largest UK cities respectively. Perhaps most importantly the challenge of attracting and retaining talent was highlighted by the findings that the number of people who arrived in Scotland to work in advertising and marketing versus those that left was 0.55%. Under Chatham House rules, the Scottish political journalist, Kenny Farquharson, and Angus Robertson, the Depute Leader of the SNP, enthralled the audience with a rigorous debate around advertising and the many ways it touches on Scottish society. It really was a case of one where you had to be there! The event was brought to conclusion by the Advertising Association’s Stephen Woodford again, this time with the announcement of a proposal to pilot a new scheme to boost advertising in Scotland by helping SMEs to use advertising to grow their businesses. The news of the proposals has been covered in further detail by John McCarthy of The Drum in an article following the event entitled The Advertising Association thinks it can boost the economy by helping more SMEs advertise. With very positive feedback from attendees, the Front Foot Scotland group will now push forward with its proposal to establish how a pilot scheme can be launched in Scotland in early 2018. If you would like to get involved, please get in touch with our Scottish Affairs Manager, Lauren Spaven-Donn on Lauren.Spaven-Donn@adassoc.org.uk. The Advertising Association is also looking for people to take part in a new campaign to showcase the depth of talent in Scotland’s advertising industry. If you have suggestions on people to put forward (or would like to get involved yourself) please contact our Head of Content, Hannah Vasdekys at Hannah.Vasdekys@adassoc.org.uk.